The other day, a friend asked me about on the go breakfast ideas. She was looking for something that was healthy, portable, lower carb and most importantly could be made ahead of time. My favorite standby is oatmeal but that doesn’t work if you’re trying to go for a low carb breakfast. 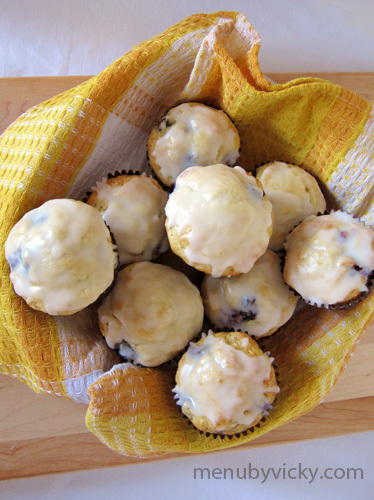 I did a quick search and came across a recipe for egg muffins. 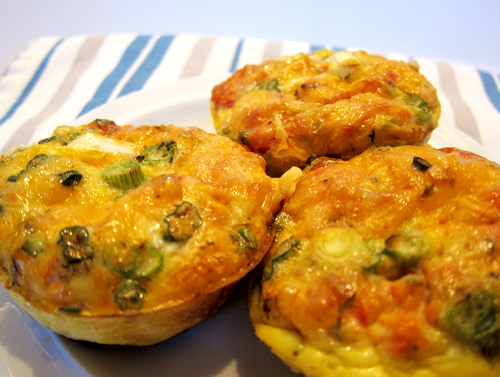 These remind me of mini frittatas. Yum! I think my favorite thing about this recipe is that it uses items that most of us already have in our kitchens. Plus they’re healthy, high in protein and easily transportable in a sandwich bag or plastic container. Works for me, as most of you know that I’m not much of a morning person on the best of days. For my egg muffins, I used a southwest seasoning blend, salsa, green onions, chicken bacon and a bit of emmental cheese. But if you don’t like that combination, use a Greek seasoning, some black olives and feta cheese. Maybe you want to go with a western style omelet and use onions, ham and cheddar. Or get fancy and use some prosciutto, goat cheese and asapargus. There are a ton of combinations. Go crazy and use your imagination! After you’ve finished baking and they’ve cooled off, put them into a plastic sandwich bag and presto, you’ve got breakfasts for the rest of the week. 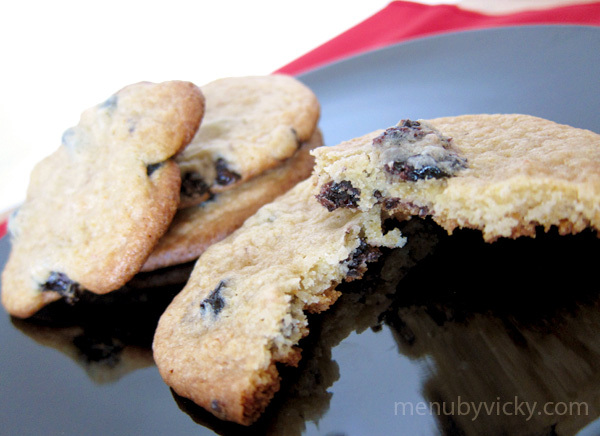 You can easily reheat them in the microwave or eat them cold. Paired with a piece of fruit and a mug of green tea, you’ve got a nice and healthy breakfast. 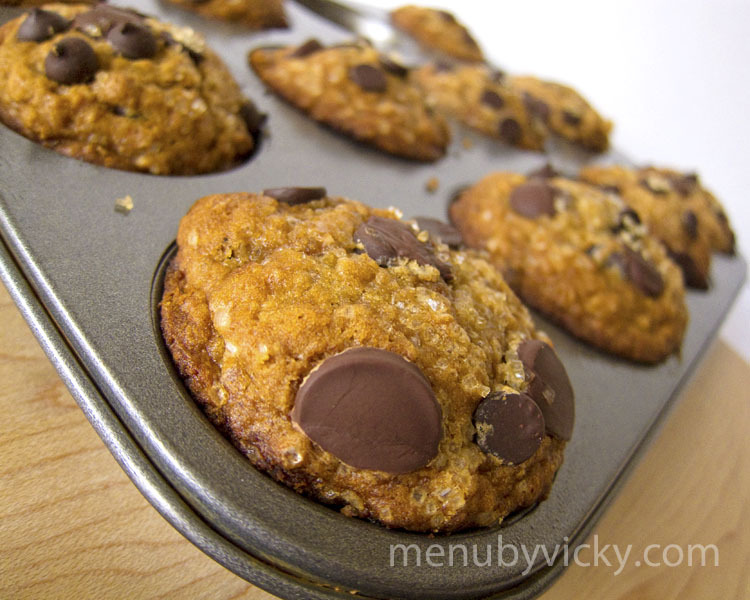 For this recipe, you can use a silicone muffin tray or a metal muffin tray with paper liners. I prefer the silicone muffin tray because it’s easier to clean up and the egg muffins are easy to remove. I would also suggest placing a tray underneath the muffin tins. It makes cleaning up a lot easier should there be an accident. What are some of your favorite breakfast foods when you’re on the go? 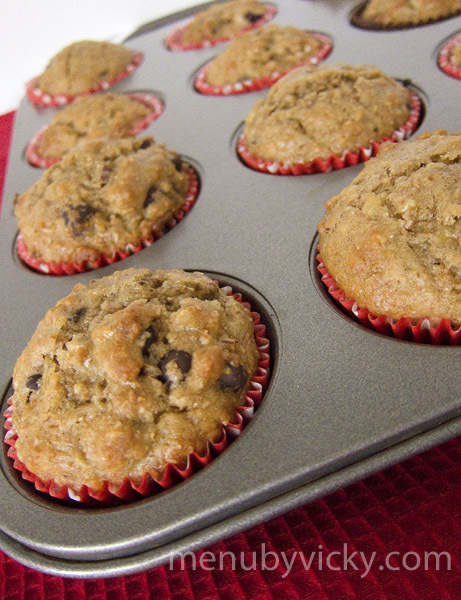 Spray a silicone muffin tray with cooking spray or line a metal muffin tin with two paper cups. Crack the eggs into a mixing bowl and beat with the egg white until the eggs are well combined. Mix in the seasoning. Transfer the egg mixture to a large measuring cup or a bowl with a spout. This will make it easier to pour the eggs into the muffin tins. In the bottom of each muffin cups, add the diced chicken bacon. The follow with your veggies or salsa. If you’re using salsa, you’ll want to strain some of the excess liquid from the salsa before adding it to the cups. Pour the egg mixture into each cup until it is about 3/4 full and sprinkle with a bit of cheese. 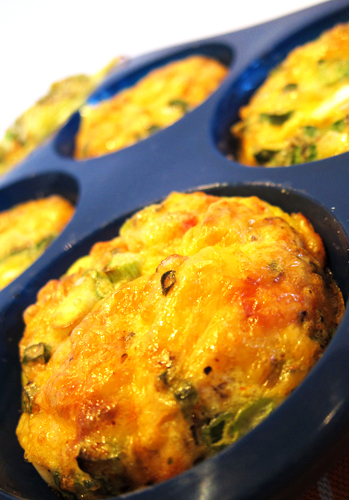 Place the muffin tin into the oven and bake for about 30-35 minutes or until the egg has risen and the tops are slightly browned and set.